Texans pay their insurance premiums each month in exchange for a promise that their premiums will be payed in full and on time. Unfortunately, bureaucrats have allowed insurance companies to abuse their customers in ways that increase their bottom line. Over the past decade, these companies have carved up their policies, offering less coverage, while continuing to raise premiums. As a result, many Texans are paying too much for policies that cover too little. Without meaningful reform, insurance companies in Texas will continue to “Delay, Deny, and Defend” claims knowing that everyday Texans don’t have the time and legal resources to fight it. Insurance companies already have too much power, and they just got even more here in Texas. 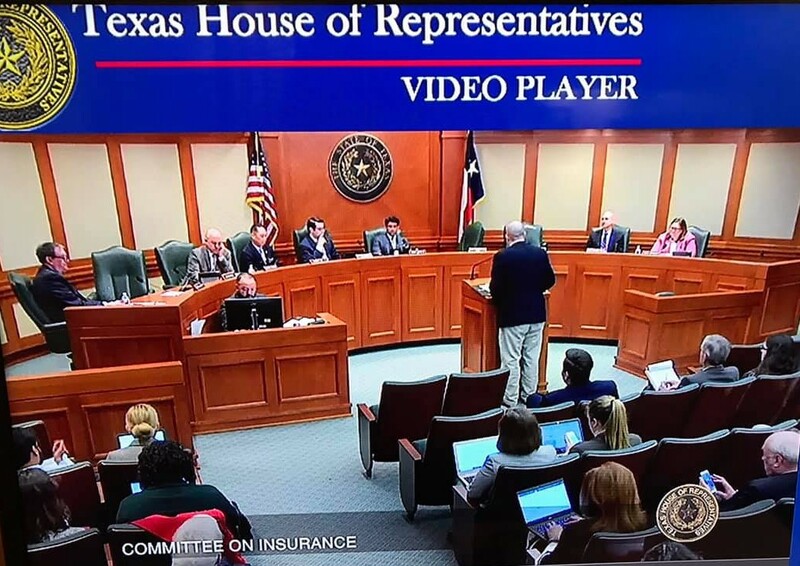 Texas lawmakers made the unfortunate decision to pass HB 1774, more aptly referred to as the Blue Tarp Bill because it will make it more difficult for Texans to rebuild after disaster strikes. Find out if your lawmaker voted for this dangerous legislation. We pay over $20 billion in premiums to auto insurance companies each year. Many insurance carriers take advantage of Texas families through gotcha policies, pressure tactics, and deny, delay, underpay schemes. Four bills at the Texas Capitol will crack down on this abuse. Learn more and take a few seconds to add your name to the petition in support of these great consumer bills. Things are moving fast at the Texas Capitol. Exec. Dir. Ware Wendell testified today in the House Insurance Committee in favor of HB 259 that would make our roads safer by eliminating dangerous Phantom Policies also known as Named Driver Policies. When wrecks happen, Texans rely on insurance to help them get back on their feet, but families are too often finding themselves unprotected and hung out to dry by insurers selling these junk phantom policies.